Mr. Morrison specializes in the area of fiduciary litigation. Ralph is a past Chair of the Fiduciary Law Section of the State Bar of Georgia. He currently serves as a member of the Fiduciary Law Section’s Legislative Committee. 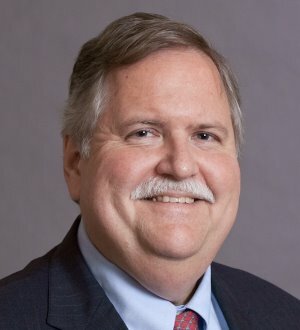 Ralph is a Fellow of the American College of Trust and Estate Counsel (ACTEC) and he serves as an appointed member of the ACTEC Fiduciary Litigation Committee. Ralph is a member of the Atlanta Estate Planning Council. He has received recognition in Best Lawyers in America (Trusts & Estates) and as one of Georgia’s "Legal Elite" by Georgia Trend magazine. Law & Politics magazine named him a Georgia "Super Lawyer". Ralph is also active in the Georgia Bar Association and frequently speaks in front of professional groups. Prior to founding Wallace, Morrison & Casteel, Ralph was a partner with Jones Day where he practiced for 25 years. Ralph graduated from Emory University and received his law degree from Georgia State University College of Law.